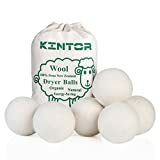 These cool new Wool Dryer Balls are a simpler, healthier and cheaper laundry alternative to dryer sheets. 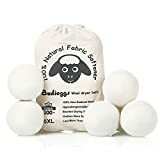 This set of four handcrafted and eco-friendly pure wool dryer balls help to fluff, soften, reduce static and wick moisture from your laundry naturally and without chemicals. 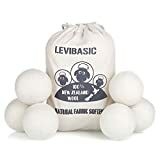 They practically last forever and come lightly lavender-scented, just re-scent occasionally with essential oils. Great solution.